Located in Downtown Kuta, this spa hotel is steps from Kuta Beach and Poppies Lane II. Beachwalk Shopping Center and Kuta Square are also within 10 minutes. Located in Legian City-Centre, this spa hotel is within a 15-minute walk of Bali Bombing Memorial, Legian Beach, and Kuta Beach. Beachwalk Shopping Center and Kuta Square are also within 1 mi (2 km). This family-friendly Kuta hotel is located near the airport, within a 10-minute walk of Bali Bombing Memorial and Kuta Beach. Legian Beach and Beachwalk Shopping Center are also within 15 minutes. Located in Legian City-Centre, this spa hotel is within a 10-minute walk of Mertanadi Art Market, Legian Beach, and Kuta Beach. 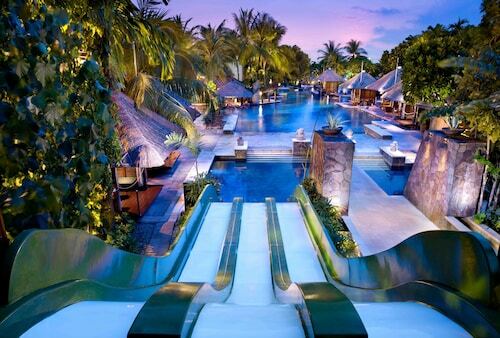 Beachwalk Shopping Center and Waterbom Bali are also within 2 mi (3 km). 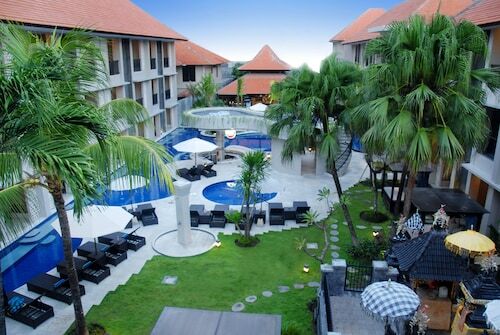 This family-friendly Legian resort is located near the airport, within a 5-minute walk of Legian Beach and Kuta Beach. Beachwalk Shopping Center and Bali Bombing Memorial are also within 1 mi (2 km). You'll have a wonderful time at Beachwalk. 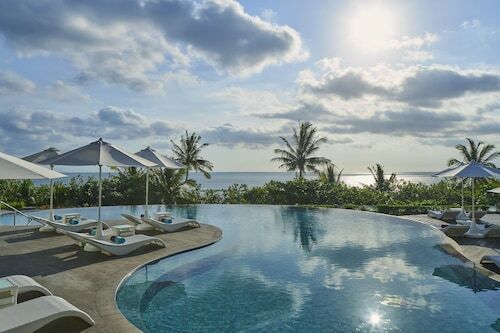 It is located in Kuta, 960 kilometres away from the nation's capital, Jakarta. With 160 accommodations within a kilometre of Beachwalk, you might even be able to see it from your window! 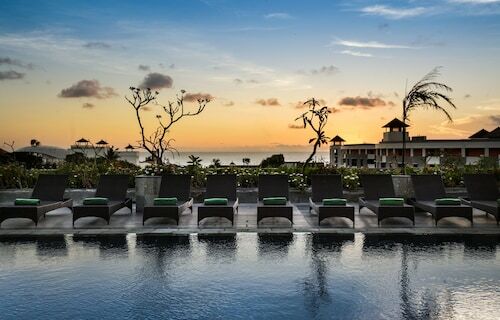 You might want to check out the Villa de daun, Sheraton Bali Kuta Resort and Hard Rock Hotel Bali. Spend your funds on adventures, not your hotel room. There's a range of budget accommodations nearby. 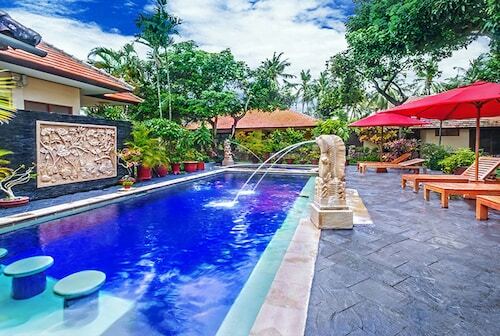 The Green Garden Hotel and the Grandmas Plus Hotel Legian are two good choices. They are 2 kilometres and a kilometre away, respectively. There's a big range of high-end hotels in this area. How about you loosen the purse-strings and enjoy the extras? You won't regret booking the Nakula Villas or the Sandi Phala, 2 kilometres and 2 kilometres away, respectively. Don't want to go far for your morning coffee? Choose Sky Garden Bali. It's easy to get to from Beachwalk. 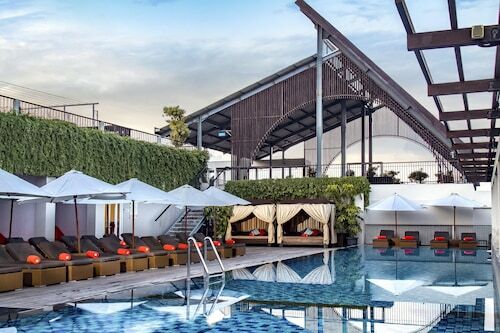 When you can't plan your next move before getting a good feed, visit Pullman Bali Legian Nirwana Hotel and Resorts. 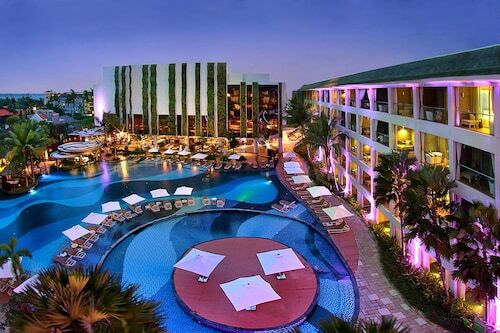 Lastly, Best Western Kuta Beach is the place to be for a few cold beers. Use up your children's energy, with an hour or two at Miniapolis. With lots of stimulating and unique creations, Kendra Gallery makes for a first-class day out. Learn something about past events when you visit Bali Bombing Memorial. 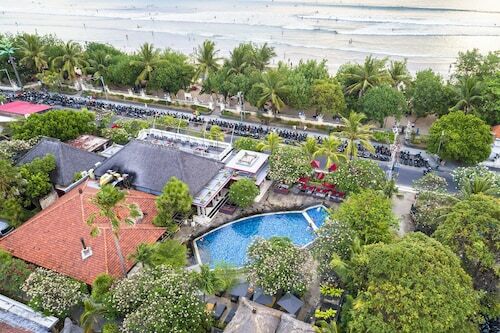 You'll have a delightful time playing in the waves, and relaxing on the shore at Kuta Beach. Generations of locals have gathered and mingled at Kuta Square. Keep the tradition going and visit the piazza. How Much is a Hotel Room in Beachwalk Shopping Center? Hotels in Beachwalk Shopping Center start at AU$32 per night. Prices and availability subject to change. Additional terms may apply.